I actually kind of like the current system. It gives us all something to rage about while being at least somewhat more forgiving than its forerunner. I think I’d prefer an 8 team playoff, but I don’t actually think I’d want more, to be honest. I will always be entertained by the people who have determined in the very scientific confines of their personal opinions that the SEC isn't that good, despite basically every metric and expert saying the opposite. You don't have to bow down to some SEC altar or anything, but come on! Fact: Kentucky is No. 9 in the CFP rankings. *excluding Alabama, which will take the Raiders' spot in the AFC next year when the Raiders are relegated, and maybe LSU. And probably Georgia, Florida, Mississippi State and Texas A&M, too. Louisville is worse than I thought. Kentucky still isn't good. Whew. Guess I'll watch the big game tonight just because. We sharted that game away harder than last week's. We need to give our backup QB a chance. LOL, Syracuse might be Top 15. This is a possible outcome I only would've expected if I was playing NCAA 14. With the sliders in my favor. Meanwhile, yet again, Alabama wrapped itself around LSU and slowly constricted them to death. But LSU did get Tua to 1.) throw an interception and 2.) play in the 4th quarter, so that's arguably a success. Alabama. Wow. I know LSU isn't exactly an offensive juggernaut, but they took a bagel on their home field. 6 a.m. Sunday practice for the Tigers! Meanwhile, we get Georgia-Alabama in the SEC title game. That's watchable, at least. Fresno blows out UNLV (not a surprise win, but a dominant one) and ascends to #17 in coaches and #16 in AP. Setting the stage for the road game in Boise where either sh*t Starts To Get Real (especially if someone can beat UCF) or the shattering soul-crushing heartbreak happens. Just dropping by to commiserate with Fed. Welcome to JimboBall! For all the good he will do for your team (which will likely be a LOT of good), be prepared for that one game per year that he inexplicably loses. Whether it's showing up to a game with a team that truly looks like they would rather be anywhere else (See: Ga Tech vs FSU, 2016) or going super conservative with the playcalling after dominating a first half then eventually blowing the lead and losing late (see: NCSU 2012), it's one of the most frustrating game-day traits of his. As soon as your kicker missed the FG and Jimbo didn't pick up the pace, I had a feeling you were going to experience it, once Mond was intercepted I was GG. Like I said, I fully expect him to do great things with your team, but be warned... he does have a penchant for things like this. If you were facing a firing squad where each of twelve shooters fired just one shot, would you really like your chances better if you had three people who'd never shot a rifle before but also three Olympic shooters compared with a squad of all average shooters? This sounded right to me, but I figured I'd check the math... and yep, it checks out! Let's say you're Bama, and you have a 67% chance to win against great teams, a 95% chance to win against typical teams, and a 99.9% chance to win against cupcakes. A season with 12 games against all "typical" teams yields a 54% undefeated chance. A season with 12 games consisting of 3 great teams, 6 typical teams, and 3 cupcakes yields only a 22% undefeated chance. 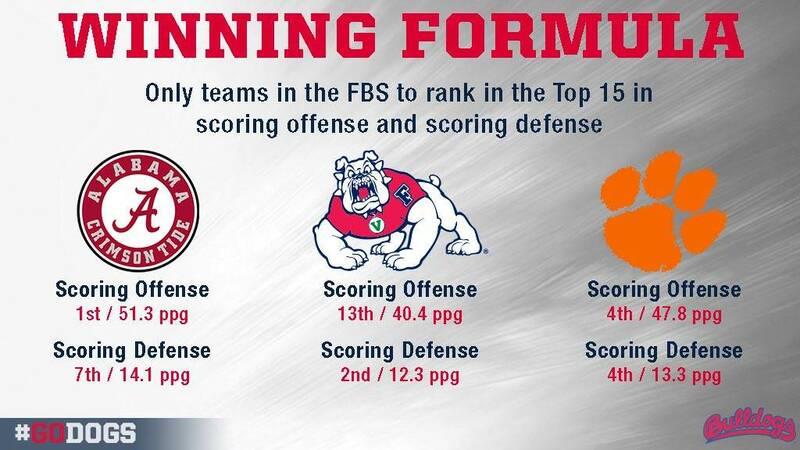 Wait every team in the SEC is great, so how does that change the math? Also, don't forget even if you only have a 67% chance of winning against a great SEC team, that still means you have a 33% chance of a quality loss. Week 11! With a few Rivalry Games* tossed in. ACC games Thursday (State/Wake) and Friday (Ville/Cuse). Once upon a time FSU-Notre Dame (7:30, NBC) would have been a must-watch. Not this year! Anyway, I'm thinking Auburn-Georgia is my pick, mostly because I've got 2-3 other decent games to pick from if that one gets out out hand. Also, it's early. A 7 p.m. kick means it'll probably finish before midnight. Almost certainly not! That being said, the QB that has revitalized ND's offense, Ian Book, is likely out for this game. Hurt his ribs against Northwestern. Hopefully our OC has reconsidered how to use his back-up, Brandon Wimbush. Whereas Book was completing >70% of his passes (>80% in the 4th quarter), Wimbush typically hovers around 55% completion percentage; even on throws behind the line of scrimmage. This could be interesting. Cal has not beat USC for 13 straight. If there is any year that it can happen this could be it. If we can avoid turnovers this one should be close. Making the trip to LA for this one.. night games at the Coliseum are not fun, but hopefully its worth it. Why are night games bad at the coliseum? No injury to any player will replace FSU's offensive (and yes, it really is) line. Your defense is going to feast on FSU quarterbacks and running backs. The only interesting thing is if you beat the 18 point spread or not. I just want to watch Florida State play a football game in the snow. Unless you pay an arm and a leg for close parking, i"m not a fan of walking around that area once you get out of the shadow of USC. Also, LA transportation has never inspired me. I know they have made a lot of improvements but do the trains actually run later for a USC game that no one cares about? There’s a huge allure to this. Especially since this FSU team seems to have given up. Imagine how little they’ll wanna play when it’s 30 degrees out! Now, we're bad, but I don't sense that the team has given up. The team was precariously thin at OL and LB and has had significant injuries there. Poor roster management at those positions, as well as QB, has caught up with them. Now, certain players gave up during the Clemson game, and they were benched for NC State. Now, as far as how they will deal with snow, yes that should be interesting. Hmm. I wish they'd given up. We're definitely back to a QB who can't complete >55% of his passes. However, he can run...which evidently plays into what FSU is actually good at this year: stopping the run. On the other hand, he is also the QB we had in place to beat Michigan. He's 12-3 as a starter, with all 3 losses last year to top 10 teams...though that was with an historically great offensive line. Our O-line isn't so great at run blocking this year. Might be interesting. Oh, and the forecast is indeed for about 23 degrees at gametime, with some light snow possible. We'll get 1-2" of snow tomorrow during the day just to get ready for the game, I guess. Louisville has definitely given up since giving away the FSU game. College football is weird. A few weeks ago, FSU beat Wake pretty handily. Last week, NCSU embarrassed FSU. Tonight, Wake beat NCSU, in Raleigh. With a sophomore backup QB in his first start. ... East Carolina, which so desperately wants to join the ACC but mixed things up and joined the AAC instead and have won exactly no conference games this season and lost to a MEAC school. State's gonna State. It's the JV version of Clemson-ing. Honestly, State should have run the table. But after last night, I think State will be lucky to win just one of these last three. Carolina and ECU all have pride on the line. Fresno State is literally Alabama West. This proves it conclusively, there can be no rebuttal argument. Quod erat demonstrandum. Well that was fun while it lasted. these last three. Carolina and ECU all have pride on the line. Thanks for not including Louisville in having pride. Disaster last night even more than usual. After Petrino declares he's going to alternate the two QBs, 2 series each, he can't even keep that up for a half. In the 2nd quarter he inserts walk on 3rd string QB who has never played and calls a pass play, which is promptly intercepted. That was right after Puma Pass had fumbled in the previous drive so back to back turnovers. That's the one stat we are #1 in, two seasons in a row. Note: 3rd string QB is actually 4th but freshman Jordan Travis, who had played in 3 games this year, transferred Monday. We had 2 transfers and 4 decommits for next year between since Thurs Nov 1. Also news broke Wed that 20 players had requested transfer paperwork this fall, although only the 2 have used it so far. Bobby has to go. Can't figure out what we are waiting on, unless there's just no one on staff worth the interim title for 2 games. In that case might as well let him go and we'll Varsity Blues it out there. Can't possibly get any worse. And finally something I've never seen in the history of ESPN. When a game goes long they always start the new game on ESPN News, and then flip over when the current game ends. They did it with the Jazz game last night, when Texas hoops was in OT. But with the Louisville game they moved the in progress game with 8 minutes left in the 4th to ESPNN instead and started Boise State on ESPN 2. Louisville is baffling. They've gone to bowls in each of the last eight seasons (I looked it up) and have been no worse than a 7-win team and usually in the 8-9 win range. I expected Carolina to be bad (bye bye Larry Fedora). Not Louisville, at least not this kind of bad.